Singapore has managed to achieve an iconic economic stature among its regional counterparts by always choosing to play its game differently. Yet again it has played a smart move, when globally the heavyweight economies are steering towards protectionism, Singapore is easing the entry of foreign entrepreneurs and enhancing funding support for start-ups. Singapore, being a resource-scarce nation, has promptly realized the significance of nurturing an innovation-driven economy to achieve higher value growth amidst intensifying competition. Therefore, it is not enough to nurture local start-ups and entrepreneurs but in order to achieve and sustain a higher-value innovation economy, the government needs to remain open to foreign entrepreneurs while promoting local start-ups. The government clarified its policy stance when Mr. Koh Poh Koon, Minister of State for Trade and Industry, on 3 March 2017 during his ministry’s Committee of Supply debate, announced a slew of changes to the schemes relating to foreign entrepreneurs and startups. 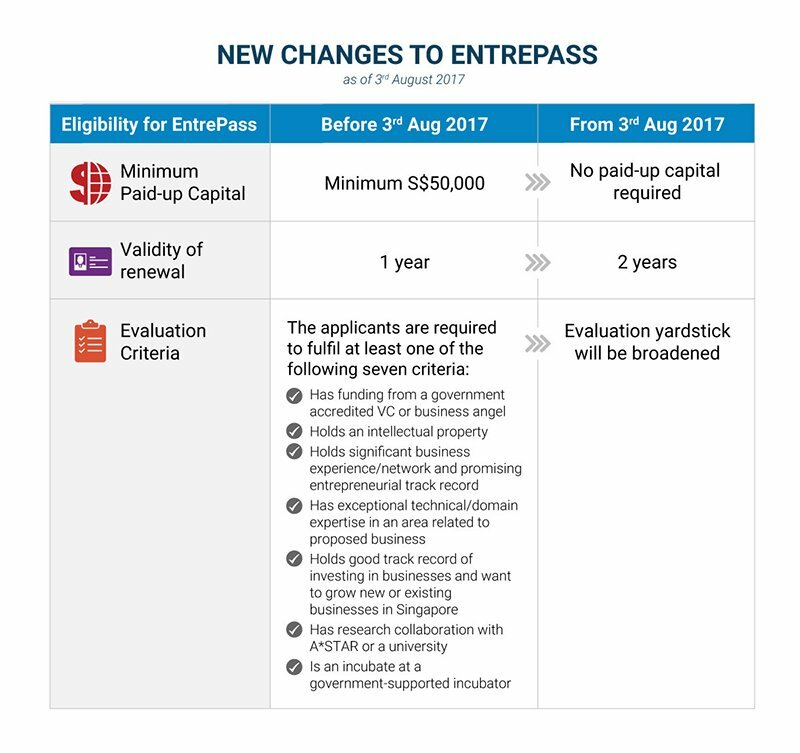 The changes announced to the Entrepass scheme sector are the key points. Launched in 2003, the Entrepass is a special work pass targeted at foreign entrepreneurial talent. The pass weighs the applicant’s track record and the viability of the proposed business. More importantly, the authorities evaluate the potential of the business to positively contribute to Singapore’s economy. The key merit of Entrepass is that the educational and professional experience of the applicant takes a backseat, this benefited several entrepreneurs who have emerged successfully in business despite the lack of educational qualification and also innovative startups whose founders did not have formal educational background. Subsequent to the economic restructuring efforts of the government, the criteria for Entrepass approval were tightened in September 2013. Since then, the number of foreign entrepreneurs taking the Entrepass route to set up business in Singapore has taken a hit. Although they continue to set up private limited companies and obtain employment pass to stay in Singapore to manage the business, some entrepreneurs are disadvantaged because they lack the educational qualification and professional experience that are critical to qualify for an Employment pass. Taking cognizance of the situation, the government has announced some changes to the Entrepass criteria. 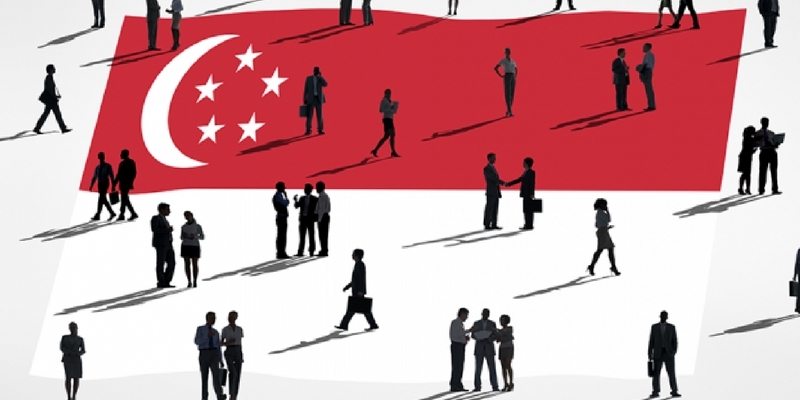 The changes will relatively ease the entry of foreign entrepreneurs seeking to set up in Singapore. Removal of minimum paid-up capital requirement: The applicants are required to incorporate a private limited company with a minimum paid-up capital of S$50,000. The minister has announced that the minimum paid-up capital criteria will be removed. The Validity of renewal extended: The initial validity of the entrepass is one year. The entrepass holders are required to apply for a renewal. If the applicant fulfills the renewal criteria the pass will be valid for another one year. Now, with the recent changes announced, the validity of renewals subsequent to the first renewal will be extended for a period of two years. The minister has confirmed that the government would continue to remain choosy in selecting the applicants and in that respect the evaluation yardstick will be broadened. You can now bring your family into Singapore under Dependant’s Pass and Long Term Visit Pass. However, the criterion is stringent. You cannot bring in your family at the time of application for EntrePass. Your family can only enter Singapore under Dependant’s Pass and Long Term Visit Pass upon your EntrePass renewal (after 1 year) and your family would have to apply and go through DP and LTVP assessment before they can apply for either. Take advantage of the relaxed eligibility criteria for EntrePass and form a company in Singapore.